The Japanese have eaten rice for many, many years. 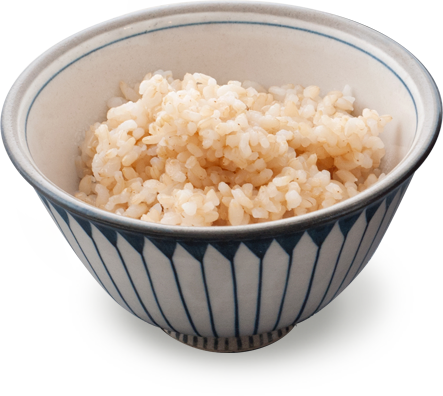 Rice is prepared with water alone, and as such, it has a very light taste. This is precisely why it goes well with other dishes, and why people don’t tire of it quickly. 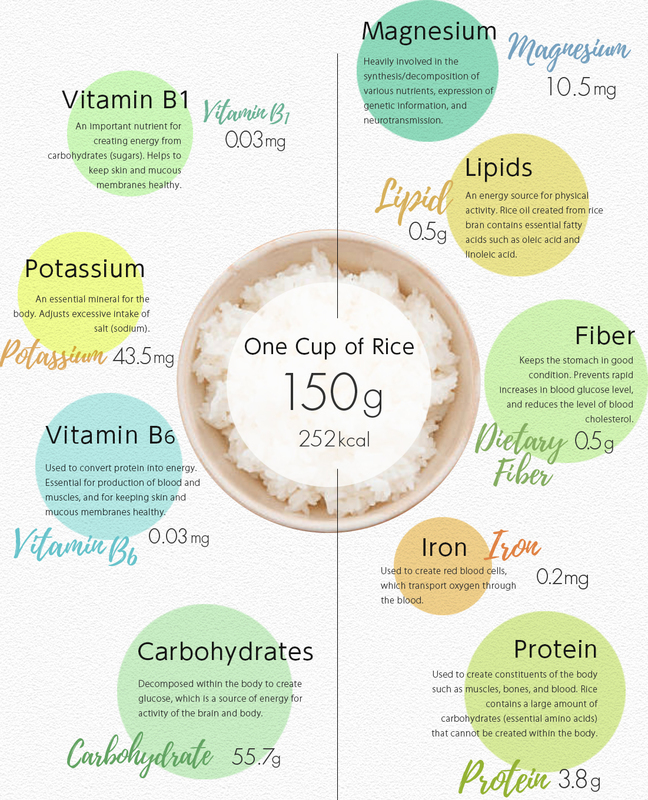 Rice not only tastes good, but it also has many advantages that make it good for health. Let’s think about the subject of rice, the staple that helps to keep Japan, one of the most long-lived countries in the world, healthy. The rice we eat is the seed of the rice plant. 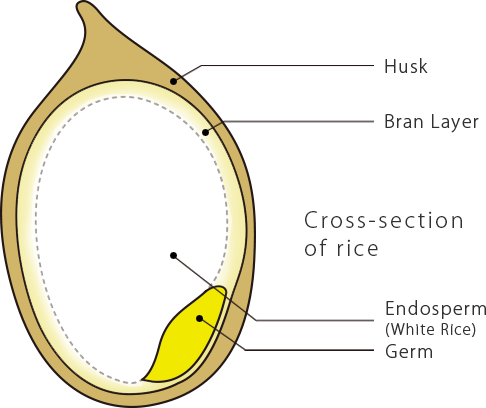 Several processes take place between the point of harvesting and the point that we eat it as cooked rice. First, let’s look at the composition of rice. Freshly harvested rice is protected by a hard husk. Removing the husk yields brown rice. This brown rice is surrounded by a bran layer. This contains the endosperm (the white part that makes white rice) and the germ. White rice tastes good and is easy to eat, but brown rice is more nutritious. This is because of the bran layer and germ, which give brown rice its distinctive dry texture, and the nutrients that they contain (lipids, minerals, vitamins, fiber, etc.). Nukazuke pickles are made using the bran produced from polishing rice. 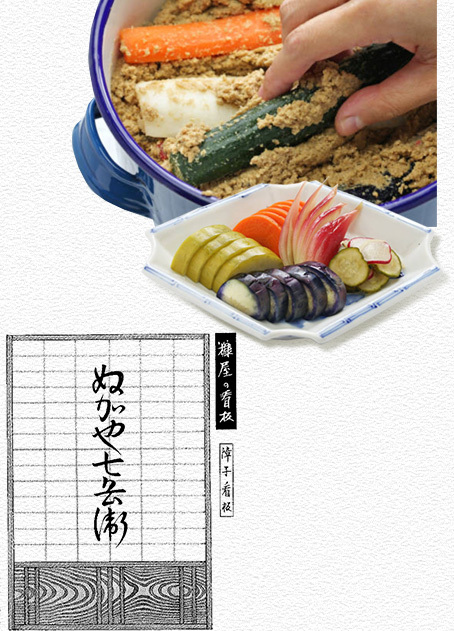 To make nukazuke, vegetables are soaked in a bed of salted rice bran made from a mixture of bran, salt, and water that has been allowed to ferment. Not only does the activity of the lactic acid bacteria in the bed of salted rice bran give the pickles aroma, but the vegetables will also absorb the vitamins, minerals, etc. from the bran, becoming more nutritious. Stirring the bed of salted rice bran every day will keep the lactic acid bacteria alive. Nukazuke owes its spread to the progress of rice polishing techniques in the Edo period (1603-1868), which made it possible to distribute large quantities of bran. It is understood that in 1716, there were even wholesale dealers of bran. Signboard for a bran dealer. The Takayama family, which has long served the head priest of Yasaka Shrine in Kokura, Kitakyushu, is said to have a bed of salted rice bran that has been passed down the generations for approximately four hundred years. There is evidence that nukazuke was widespread in the Kokura area four hundred years ago: there are letters from 1626 discussing nukazuke, exchanged between Tadaoki Hosokawa (the first daimyo of the Kokura Domain, who built Yasaka Shrine) and his son Tadatoshi, as well records dating from 1632 that Tadazane Ogasawara, who became the daimyo of Kokura after the Hosokawa clan rulers, also enjoyed nukazuke as a favorite dish. 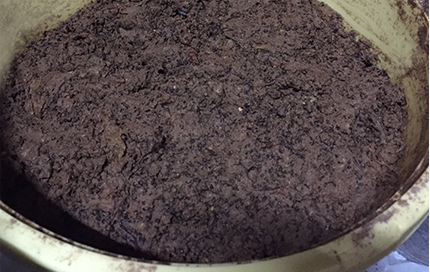 The bed of salted rice bran kept by the Takayama family contains bran, coarse salt, kombu, chili pepper, and sansho (Japanese pepper). It is taken care of twice a day, one in the morning and once in the evening. Even now, it is used to pickle vegetable offerings from the shrine, which are then served to the family of priests serving the shrine. As a result of endlessly pickling fresh vegetables in the bed of salted rice bran, it has remained healthy to this day. What kinds of nutrients does the rice we eat contain? The major nutrients in rice are carbohydrates and protein. 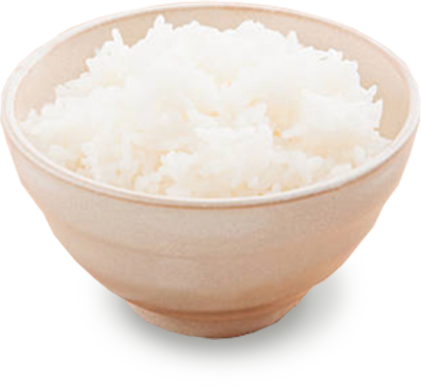 You may be surprised to hear that rice contains a lot of protein, but we Japanese do, in fact, get our protein from rice as well. 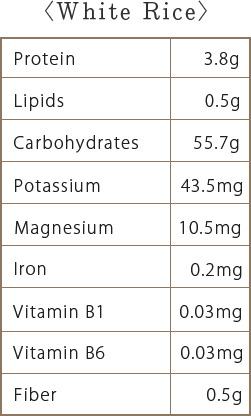 Let’s take a look at the other nutrients contained in rice. Unlike bread and noodles made from wheat flour, rice is a cereal where the grains are eaten as-is. When you eat rice, it takes a certain period of time for the carbohydrates to be broken down from starch into sugars within the body, and the resulting gentle digestion and absorption of these is said to keep your blood sugar level from rising excessively. Rice also contains protein. This protein is broken down in the body to create amino acids, which are used by the body to maintain muscles and blood vessels, organs, and skin. There are nine types of amino acid called “essential amino acids” that must be taken from the food we eat every day, as they cannot be synthesized in the body. 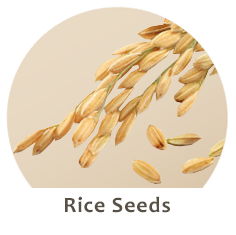 Rice contains a high proportion of essential amino acids. The definition of good-tasting rice varies from country to country, and region to region. There are places like Japan where sticky rice is regarded as tasting good, and there are places where people prefer drier rice that has less moisture. Let’s take a look at four categories — taste, appearance, aroma, and texture — that describe the Japanese image of good-tasting rice. 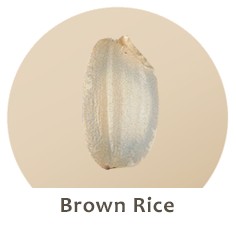 The flavor of rice is concentrated within the grain. Cooking the rice causes the starch to gelatinize, giving it a gentle sweetness in the mouth. Each grain of freshly cooked white rice glistens. The starch that dissolves from the rice during cooking becomes what is called oneba, and this covers the rice. This oneba gives the rice its luster and shine. The aroma of rice is the result of a combination of different smells, so there does not seem to be one particular constituent of the aroma that truly represents rice. It is also understood that the smell of bran shares many of the same constituents as that of rice, so the two appear to be related. The Japanese generally enjoy rice that is somewhat sticky. 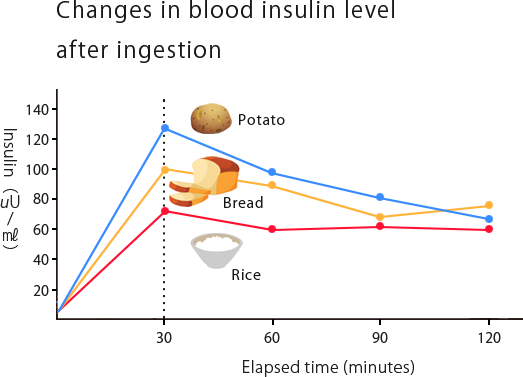 The stickiness is determined by the composition of the starch; the proportion of amylose and amylopectin. 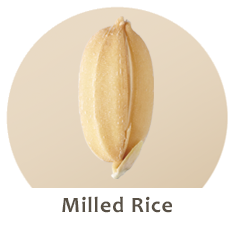 A greater proportion of amylose gives the rice a drier texture. Popular varieties of rice such as Koshihikari have an amylose content of 20% or less. 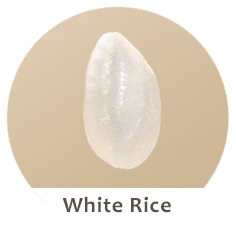 * Rice used for mochi has nearly 100% amylopectin. We eat rice every day, so naturally, we want to enjoy it! Here are some tips on how to best enjoy tasty rice. In recent years, new brands of rice have been coming out one after the other. In Japan, there are currently approximately 280 varieties being made (as of the end of March 2017). If you’re looking for the best-tasting rice, why not try buying various brands from a rice shop and putting them to a taste test? Depending on how it is polished, rice can take on different flavors. Rice shops can also polish rice to suit your preferences, for example by doing 30%, 50%, or 70% polishes. 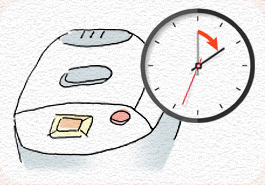 After polishing rice, its flavor will diminish with time. You should look to only buy as much rice as you can eat within roughly one month. After purchasing the rice, keep it in a sealed container, and store this in a cool, dark place. We recommend keeping enough rice for two weeks in summer and for one month in winter. Cooking rice is a simple process that requires only rice and water. Getting the measurements right is the most important part to making tasty rice. Rice sold in shops should already be nicely polished, so you only need to wash off any bran stuck to the surface. 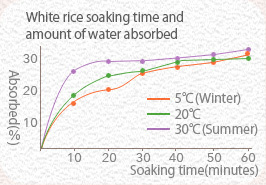 The amount of water used during cooking will determine the hardness of the rice. 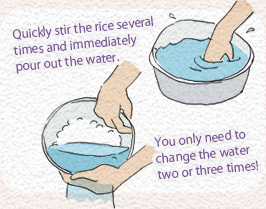 The rule of thumb is to add an amount of water that is equal to one-and-a-half times the weight of the rice. 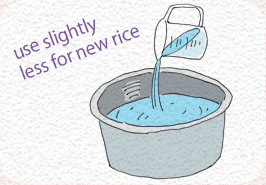 Use slightly less water for new rice, which already retains a large amount of moisture, and slightly more water for older rice, which will have dried out somewhat. One little-known trick to tasty rice is to allow the rice to absorb water right through, which lets the heat travel through evenly. Soak the rice for at least 30 minutes. * 50-60 minutes during winter. Three processes will take place once the rice is in the pot. The water and heat will cause the starch in the rice grains to gelatinize, making it taste good. As the heat rises, the grains of rice absorb more moisture, and gelatinization of the starch begins. A convection current is created by the boiling water, causing the gelatinization of the starch to progress. Excess moisture turns to steam, causing the gelatinization of the starch to progress further. After cooking, leave the rice for 10-15 minutes, allowing the oneba to gather on the surface of the rice grains and soften. 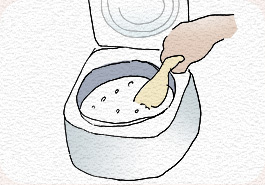 The starch inside the rice will continue to gelatinize, and the rice will become sticky as the moisture evaporates. 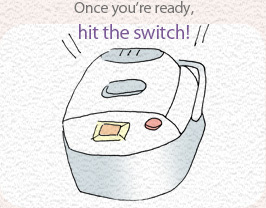 After the rice has finished steaming, immediately open the lid of the rice cooker and stir the entire contents of the pot to remove excess moisture, making the rice fluffy and even tastier. Be careful not to leave the rice for too long after it has finished cooking, as the steam inside the pot will be absorbed back into the rice, making it watery. The starch of rice cooked to perfection will be well-gelatinized. The more you chew on white rice, the more of its sweet taste will come through. Chewing properly not only lets you enjoy the taste, but it also aids with digestion. 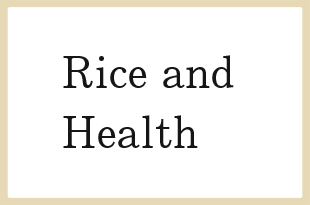 The flavor of rice varies year by year, even within the same producing region or brand. This only shows that rice is ultimately a blessing of nature. Rice farming is greatly affected by factors such as weather and climate, and there are no guarantees that it will always taste the same. Furthermore, once harvested, the flavor of rice will gradually change as well. To counter this, there are blending techniques that are used to ensure that rice retains its tasty flavor. By getting to know the qualities of rice from different regions and blending these different kinds of rice, one can create flavors that are the same all year round. Even restaurant chains and catering services that use large amounts of rice will constantly check the quality of rice harvested across Japan, and use their individual know-how to blend rice in order to have a stable supply of tasty rice. 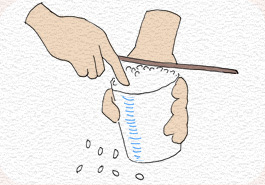 These pro techniques allow them to provide rice that tastes good whenever you have it.